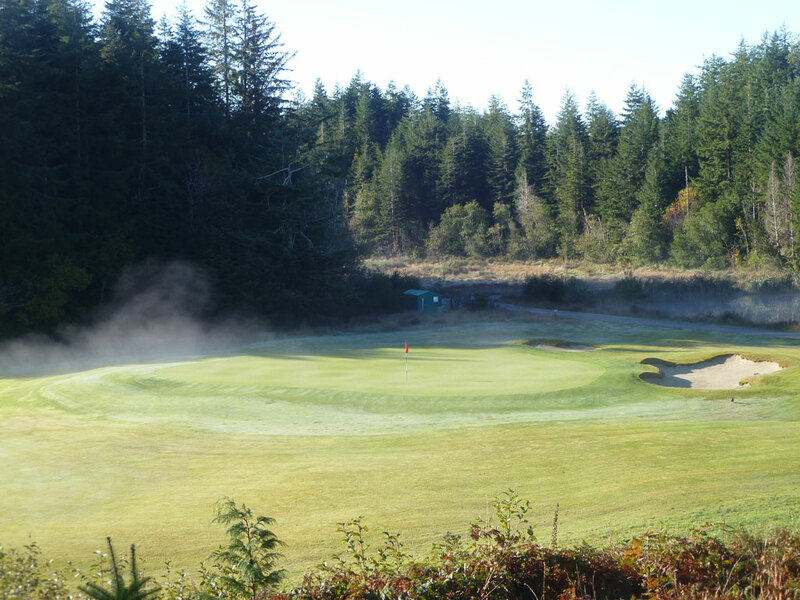 Course Website: Official Website - Visit Bandon Crossings's official website by clicking on the link provided. 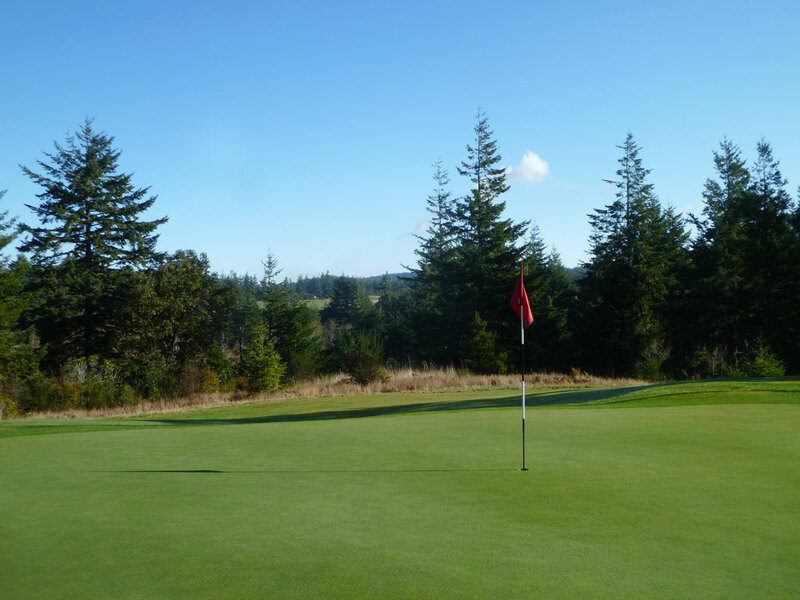 Accolades: Ranked 11th in Oregon on Golf Course Gurus' Best in State list. 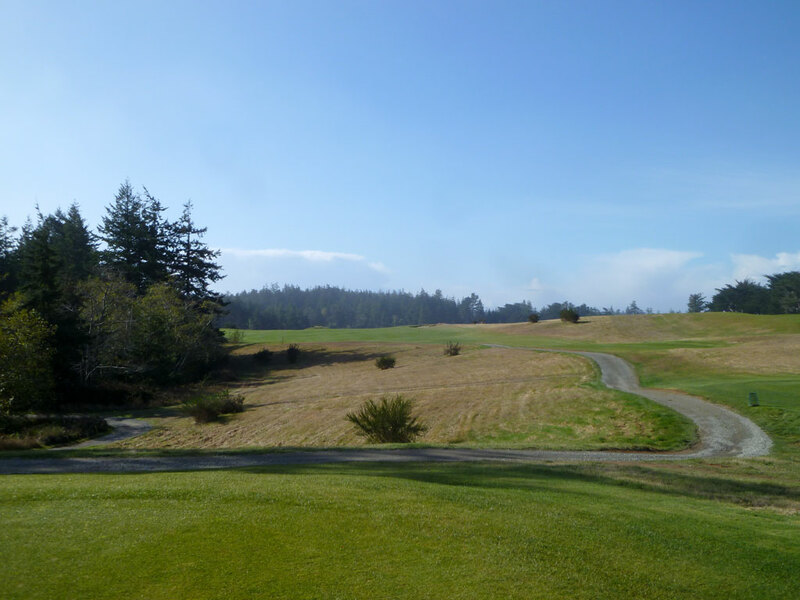 What to Expect: Bandon Crossings will always live in the shadow of the grand Bandon Resort found north on Highway 101, but don’t underestimate what Crossings brings to the table for this small coastal town. 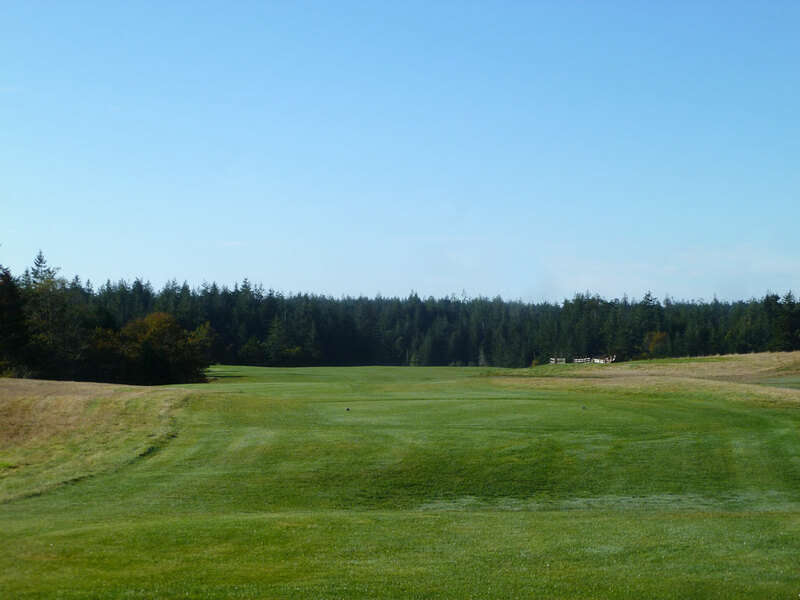 Found more inland than the links courses found at the resort, Bandon Crossings has a totally different feel than the Bandon Resort courses due to the type of turf (bent and rye grass), stronger elevation changes, and more of a feeling of being in the Pacific Northwest (trees!). 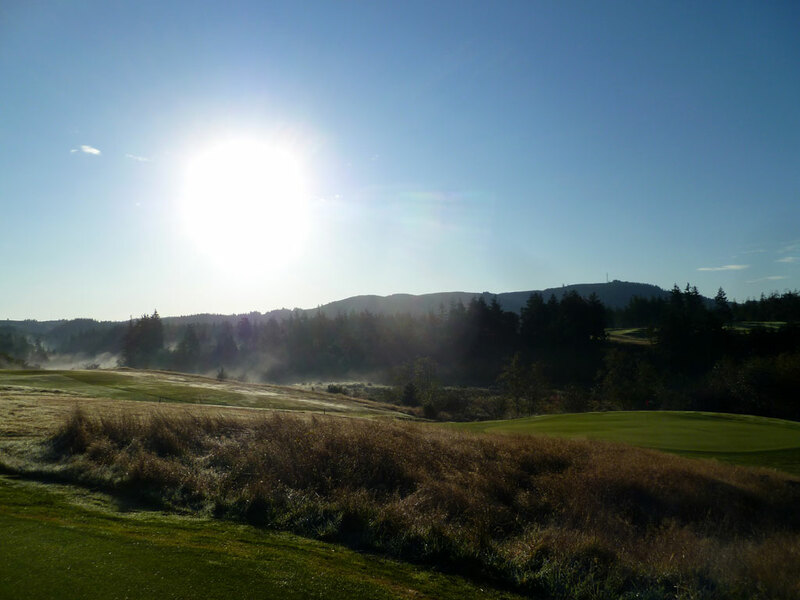 The plush conditions are a nice break for your feet if you’ve been golfing 36 holes a day on the firm conditions found at the Resort which conditions also offers an alternative style of play to enjoy as your ball and clubs react differently to the turf. 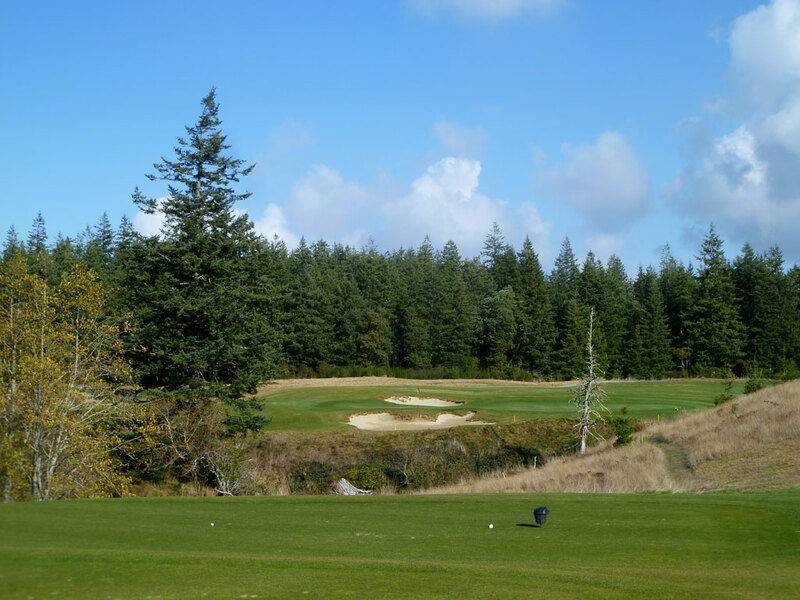 There are more places to lose your ball at Crossings than at the Resort, but the fairways and playing angles are generous and you would rarely, if ever, find yourself frustrated with the layout. 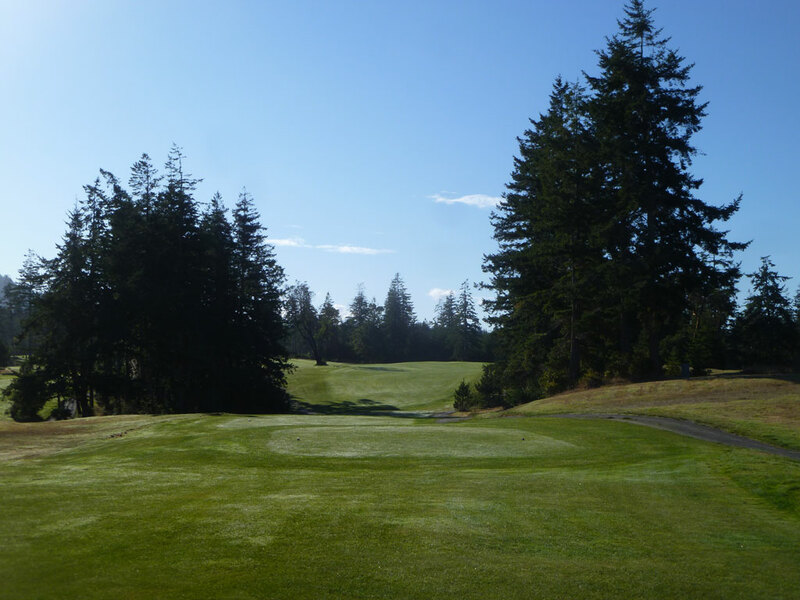 There is an excellent variety of hole lengths, shapes, and directions which provides endless variety to this affordable course. Locals will tell you there are no gimmie putts on Hixson’s greens which feature subtle contours that will challenge every skill level at every distance. The clubhouse is quite modest, the patrons down to earth, and the whole setup feels like coming home. 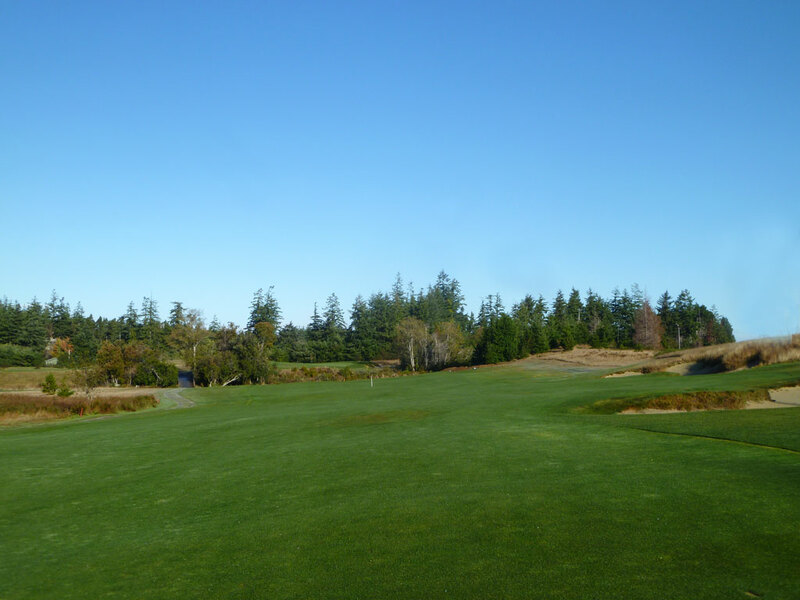 One more unique thing about Bandon Crossings is the “North Nine” which allows golfers to play holes 1-5 (selecting the alternative upper green on #5) and then finishing on holes 15-18. This collection of holes are found on the flatter terrain at Crossings creating an easier walk and avoids the toughest holes thus creating a great routing to take the family on. If you find yourself in Bandon, you owe it to yourself to add Crossings to your schedule. Signature Hole: 5th Hole – 545 Yard Par 5 – The 5th hole is actually two holes in one. When playing the full 18 holes this is a great par five but if you are playing the 1-5, 15-18 nine hole routing on the upper property then this plays as a par four to an alternate green on the right. The inviting tee shot has a pair of fairway bunkers that will only come into play for the biggest of drives before the hole begins its 50 foot elevation descent to the greensite. 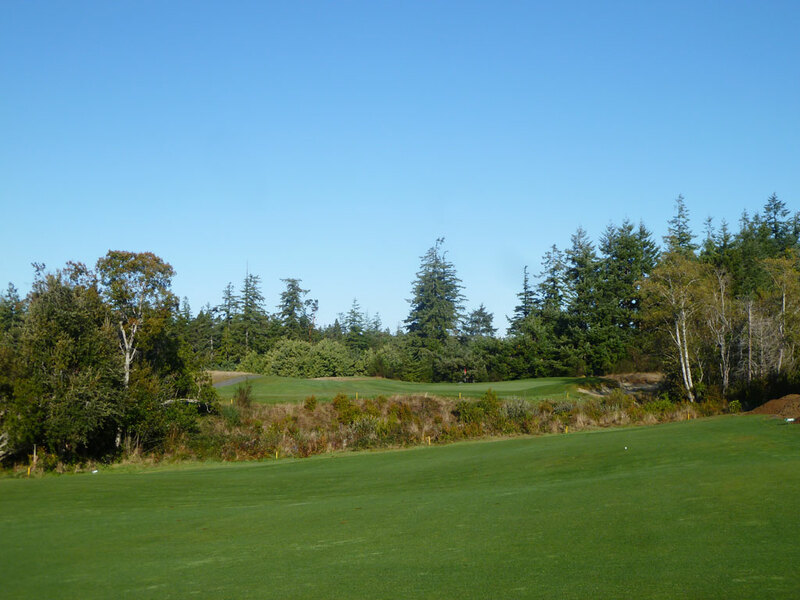 The fairway tumbles downhill to a ravine that crosses the fairway 100 yards from the green and must be carried on the approach shot that can be partially blind depending on how far back you are hitting. The sunken greensite is framed by trees on the left side and a pair of bunkers on the right. 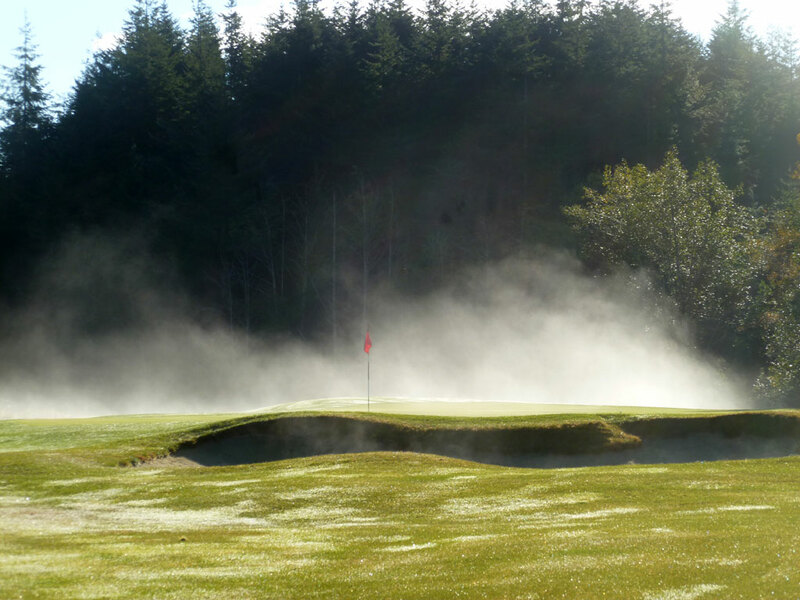 On the morning I played there was a billowed mist surrounding the green that was a byproduct of the lowered greensite that helps hold in the humidity from the creek that fronts the putting surface. It is a great location for a green that sets up some exciting approach shots and results. Best Par 3: 17th Hole – 170 Yards – While the downhill 14th known as "The Drop" is an admirable one-shotter, the 17th takes the cake as Hixson's best offering among the par threes. While not exceptionally long, absolute precision is required to the shallowest green on the course where a mere 14 yards is afforded on the left third and is pinched by bunkers in front and back. 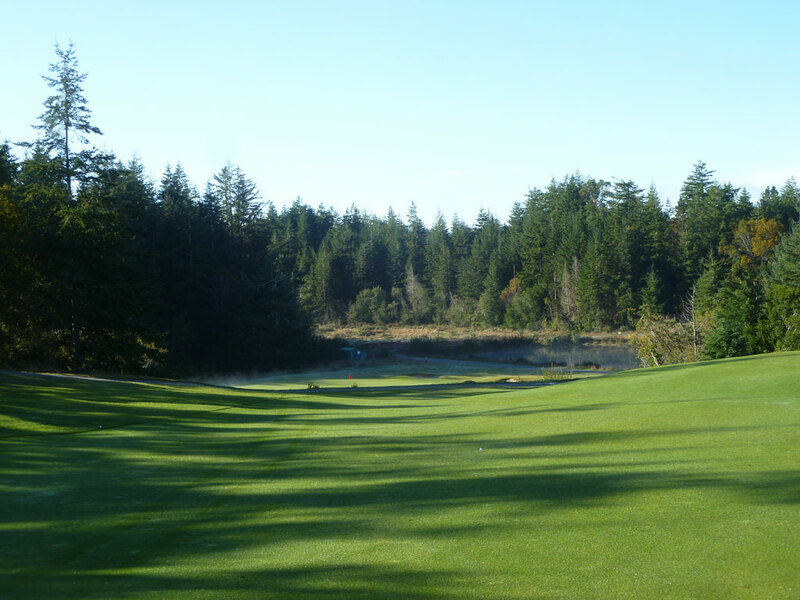 The right side of the green offers a bit more green to work with but missing short will drop you in a pond and going long leave you with a testy downhill chip. If you have your distance control dialed in then you should have a great look at birdie on this 40 yard wide putting surface, but if you don't, a big number could be lurking. Best Par 4: 8th Hole – 455 Yards – The #1 handicap on the scorecard, the 8th is a proper par four that requires back to back quality shots to tame. 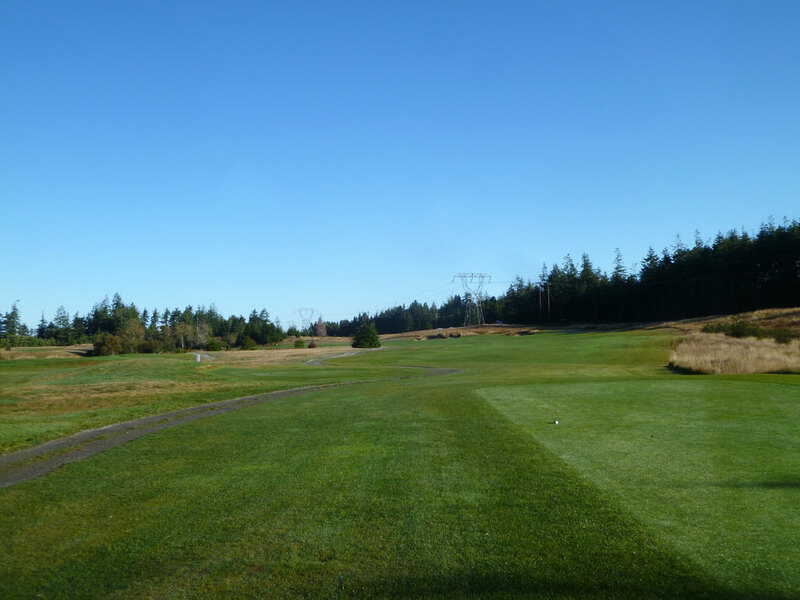 The fairway begins to bend left at the lone tree set at the inside corner of the turn and marks the aiming point off the tee for the aggressive player looking to knock some yards off this hole. The nearly 50 yard fairway offers plenty of short grass to land in but then the approach shot becomes demanding from an accuracy perspective with the width of the green being half as wide as the putting surface is deep. Bunker sit short left and short right of the green and stand ready to catch approaches that come up wanting which can often be the case with the length of shot required. This is a great test with length off the tee and accuracy on the approach; a proper design indeed. 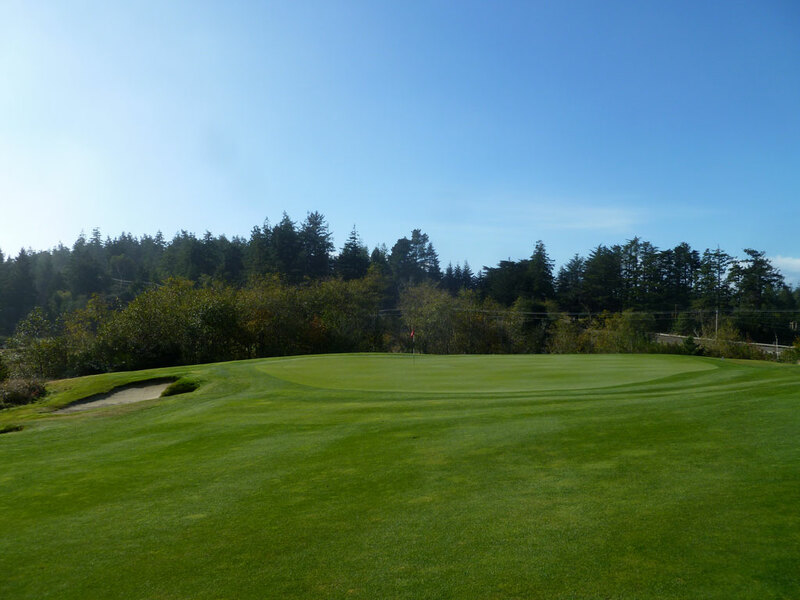 Best Par 5: 18th Hole – 570 Yards – The closing hole at Bandon Crossings is an excellent offering on a course full of great par fives. An aiming bunker sits at the inside corner of a bend in the fairway and you'll need to carry the ball 250+ yards to clear the sand and set up a potential shot at the green in two. Most players won't get home in two strokes and so the safer tee shot is left of the aiming bunker where 40 yards of fairway width awaits. A ravine carves through the fairway 200 yards from the green and must be carried on the second shot but if you are laying up then you'll want to stay short of the fairway bunker on the right side of the short grass 60 yards from the green. 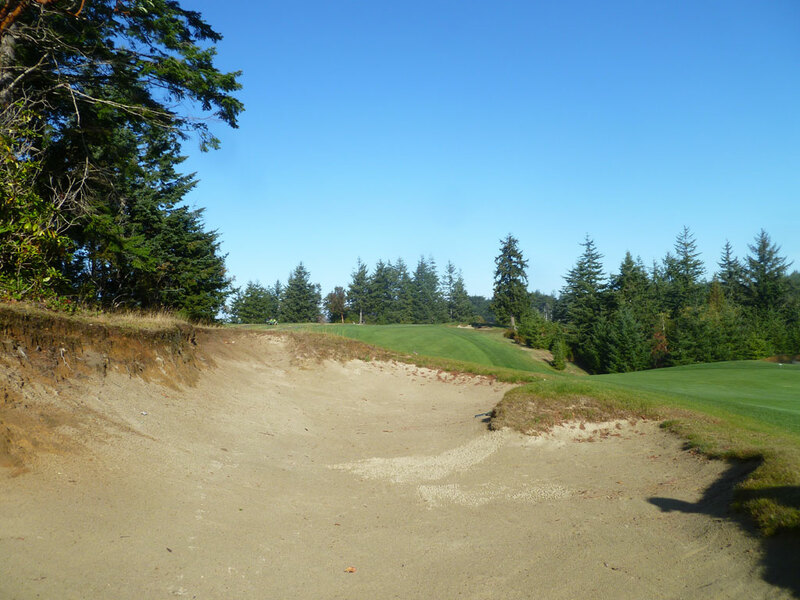 The front of the green is receptive to aerial or ground shots but balls that drift left may find one of the two bunkers or hit the side hill and bound toward the scrub bush covered ravine. Hixson is going to require you to hit some quality shots up until the end but reward you will a solid look at birdie if you do. Birdie Time: 4th Hole – 495 Yard Par 5 – The sub-500 yard par five 4th hole gives players a chance to throw an early birdie on their card. The fairway tilts from right to left and will help sling a drawing drive the extra yards you may need to comfortably attack this green in two. 250 yards straightaway will put you in the first fairway bunker while a 300 yard drive slightly left of that line will put you in the second fairway bunker before the hole banks left, but anything that stays left of those bunkers will set up an approach to a slightly raised green protected by a ravine in front. 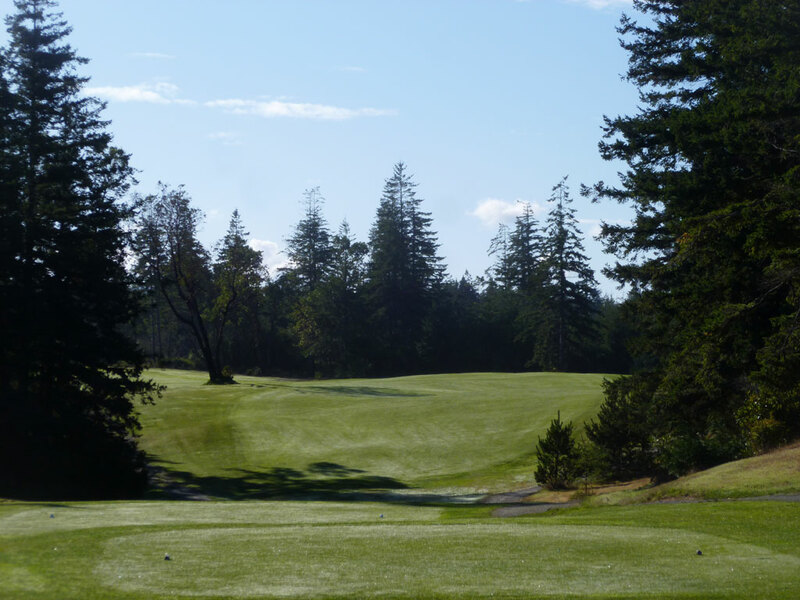 Trees frame each side of the green and create a virtual upright to send your ball through with a bailout area being offered on the left side. If the ravine didn't front this green it very likely would be on the card as a long par four, so if you can carry the ball well then you'll want to take advantage of this short hole; but even if you aren't a long baller, you should be able to wedge your third shot in tight and give yourself a nice look at birdie. 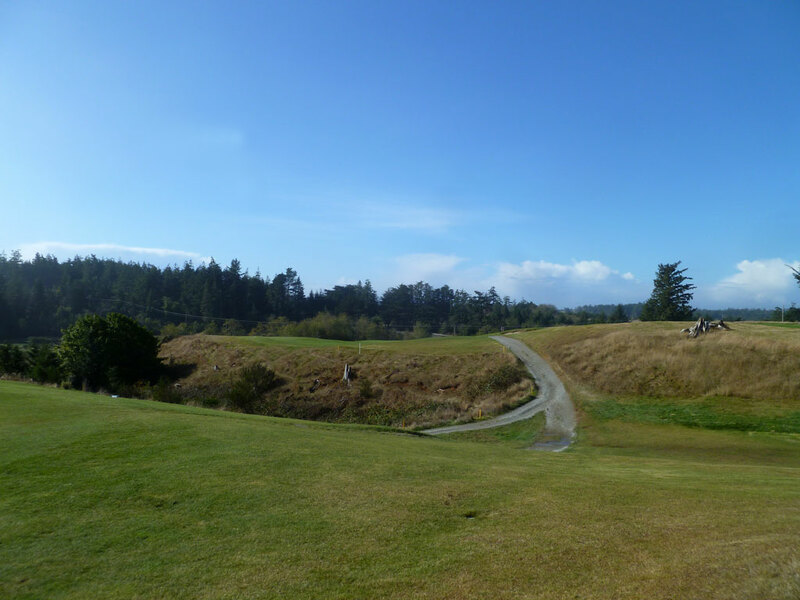 Bogey Beware: 7th Hole – 430 Yard Par 4 – The tee shot on the 7th hole is nothing short of intimidating. 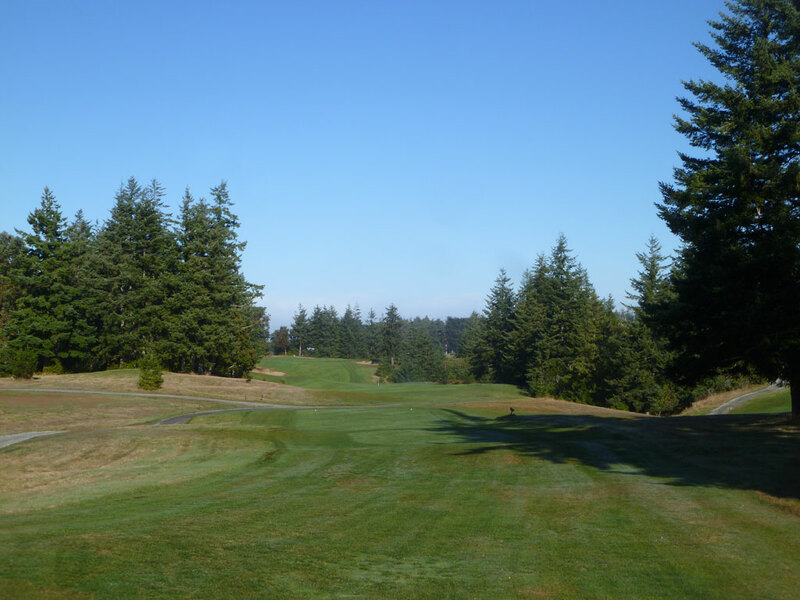 Featuring one of the tighter fairways on the course, the right side has a steep falloff into the trees while the left side features a hidden bunker tucked behind a hill in by the trees on the left. The fairway eventually descends downhill before climbing 20 feet back uphill to the greensite that is flanked on the right by a bunker. The elevation changes, sloping green, and demanding shots required on this hole create a tough combo to conquer and avoiding bogey here deserves a pat on the back.